Letitia is the owner of The White Shed, the most divine decorating business, which she runs from her farm just outside Maitland on the Yorke Peninsula in South Australia. 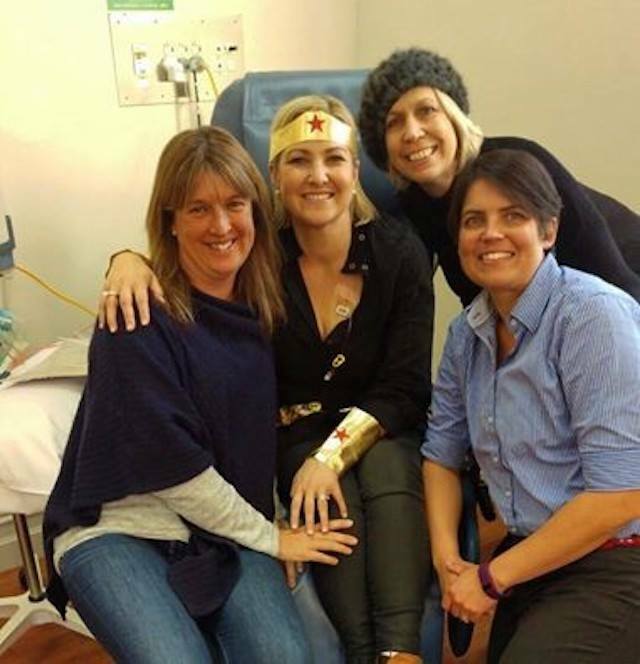 In 2014, aged 34, Letitia Linke was diagnosed with ovarian cancer. 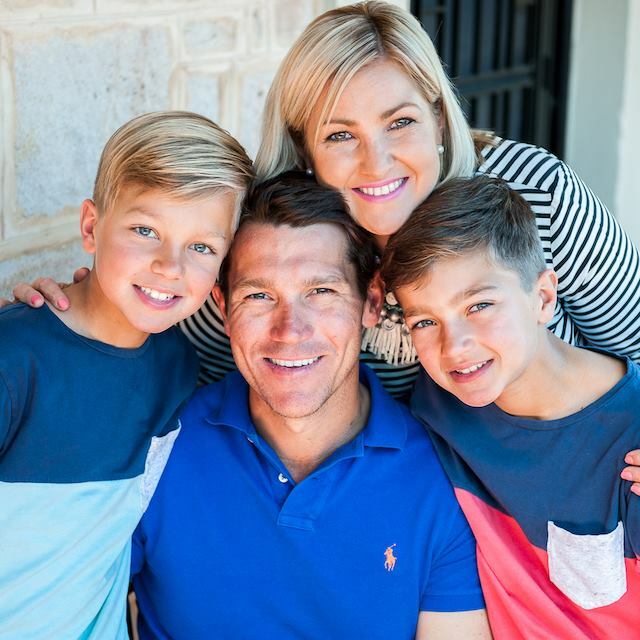 The mother of two young boys has been fighting the disease for the past three years, undergoing surgery, chemotherapy, radiotherapy and hormone treatment. Passionate, brave, and resilient, Letitia has made it her mission to educate women about the signs and symptoms of the disease by raising funds for research and early detection units, to improve the mortality rate – and a huge part of this is her annual Adelaide Silver Style – Frocktober Friday Lunch in support of the Ovarian Cancer Reseach Foundation which sold out in just hours this year! 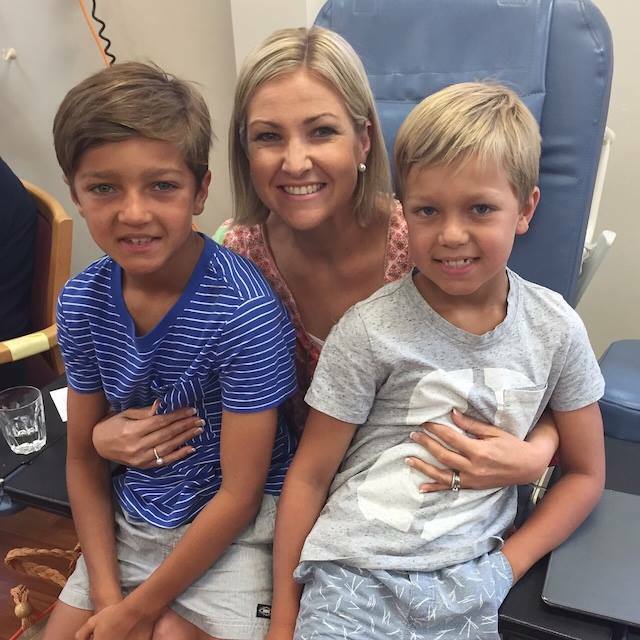 Jess: To be 34 and diagnosed with Ovarian Cancer would be any young mum’s worst nightmare. How did you find out, and what were your first symptoms? Letitia: Like most women diagnosed mine was a long and complicated process to diagnosis. I felt a lump in my tummy after I had lost weight doing Michelle Bridges. Like many women I had lower back and pelvic pain but just thought this was part of being a woman! I went to two GPs who thought I had a hernia and referred me to a reconstructive surgeon. He ordered an MRI which showed I had lumps (which he thought were endometriomas). He then sent me off to a gynaecologist Simona Fischer who sent me in for a cleanup operation for one of the worst cases of endometriosis she had seen. While she was in there she biopsied my ovaries. They showed ovarian cancer cells. 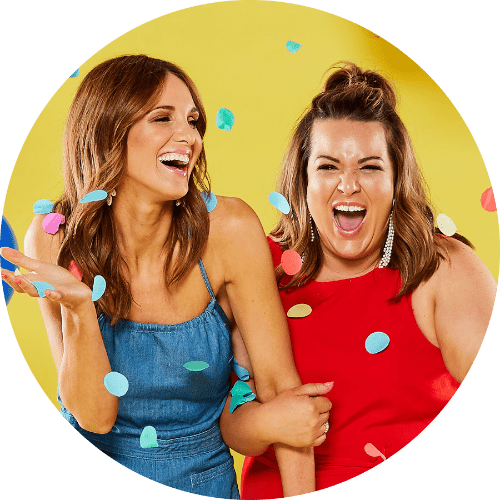 Jess: You are using your personal experience to educate women that this type of cancer could happen to any woman – your sister, your daughter or your mother. Is there still a belief that this type of cancer is an older woman’s disease? Letitia: Certainly! Even when I saw the GP much much earlier with unexplained bleeding (a good 9 months prior to my diagnosis) and an ultrasound showed I had something unusual on my ovaries, she said it was ‘nothing to worry about given my age’. Jess: How has your experience changed the way you look at the world? Has it changed the way you approach parenting? Letitia: Absolutely! I live every day to the fullest and am so grateful for my life. I spend more time doing stuff with my boys. If it’s kicking the footy, throwing a cricket ball or just making more time for cuddles. Having good quality time with the boys is so important. We spend so much time rushing through life and just getting through, it’s so important to slow down and enjoy it. Jess: You’ve got two beautiful boys who must be full of beans, what is your favourite thing to do as a family? Letitia: We love home time, to light a fire out in the yard, sit around it toast marshmallows and chat. We also love a game of family cricket or footy! Jess: How have you managed to run the decorating business as well as balance all the other things on your plate? Letitia: Working from home is so flexible! I can still help out at school, attend sports days etc and work when I want to. All of my clients are very understanding that I have still been having treatment and I work around this and when I can. I’m actually the most efficient just after chemo when I’m wide awake on steroids! Jess: Other than your beautiful home on the Yorke Peninsula, what is your favourite location in SA to relax and unwind with friends and family? Letitia: The river! I love the river, its green banks and the calming views of the water and cliffs. Jess: What advice can you give to women out there who are either battling this disease or watching someone they love go through it? Letitia: Get up move and get out. Exercise, fresh air and socialising keeps me going. It would be very easy to sit at home and dwell on all the bad. My ambassador roles with the Ovarian Cancer Research Foundation and Ovarian Cancer Australia give me a great positive focus in which I know I might just be helping someone out there. It make you feel good! 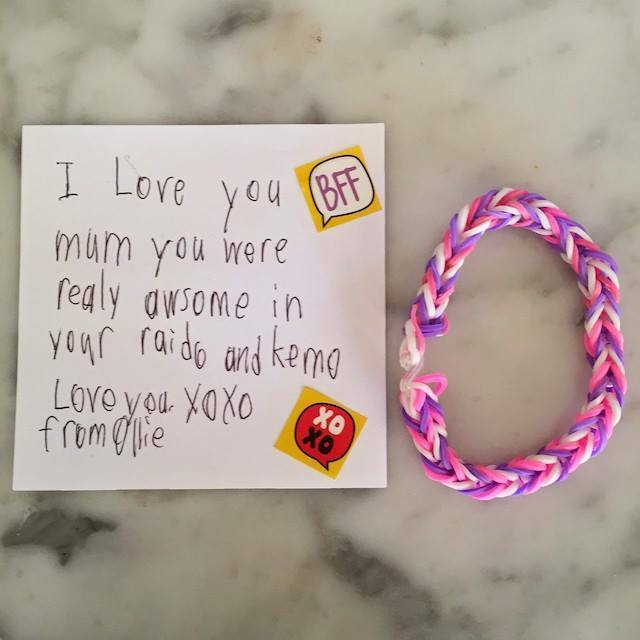 Jess: You are an absolute inspiration Letitia, and what I admire most is your bright smile and your big heart – which sees you giving so much to others.